Considering a Long stay in Cairns? A Long stay can be anywhere from 1 month up to 3 months. Maybe you’re relocating for work, or coming to fulfil a contract. The perfect solution for a Long stay accommodation in the Cairns CBD is a self-contained apartment which offers everything you need at your fingertips. Forget about trying to find furnished accommodation, organising rental bonds, finding a reliable real estate agent, and being too far away from the action. Inn Cairns Boutique Apartments is centrally located in the Cairns CBD and offers 38 affordable, comfortable fully self-contained apartments suitable for long stay options. It’s just easy to come stay with us. Whether you’re a health professional needing to find regular long stay accommodation or a tradie who will be here on a project for a few weeks, Inn Cairns comfortable fully self-contained apartments will provide you with room to move around your own space. Enjoy your private balcony where you can sit and relax at the end of the day, a rooftop terrace area with great views of the ranges and the city and a BBQ area, pool and spa. Our self-contained accommodation is fully equipped and can easily become your home away from home. It’s hard enough being away from family and friends for any extended period of time, and a comfortable apartment where you can prepare your own meals, wash your own clothes and have plenty of private space to yourself can make your long stay more tolerable. There’s a large supermarket located directly across the road which caters for the many international culinary requirements of our tourists, and it has a huge deli and fresh produce department. The fridge in the apartment is large enough to hold all your shopping needs and the kitchen is fully equipped with what you’ll need to prepare and cook your meals. Our apartments are spacious … plenty of room for your mobile office needs and our WiFi is free to guests. We have secure, off-street, undercover parking and we can accommodate 4WD vehicles with a 2.3m clearance. Each apartment has their own washing machine and dryer, no need to find coins for a laundromat service. The bathrooms come with a bath and shower and there’s adequate storage space throughout the apartment. Cairns continues to expand and grow steadily and new home construction continues to do well with new home developments underway in Cairns and surrounding areas. Major international investors are constructing and renovating hotels to provide more tourism accommodation and our International Airport is undergoing expansion. There’s lots of exciting development happening and with this development comes a demand for a wide range of skilled trades people into the Cairns region. With secure undercover, off street parking for vehicles, Inn Cairns Boutique Apartments Long stays are ideal accommodation for tradies who are on a build project contract in Cairns for 1-3 months. With the growth in the health services sector on the increase in the Cairns region, relief doctors and visiting specialists or locum professionals need a place to stay where they can literally arrive and get ready for work.  Inn Cairns Boutique Apartments is a great central location to be based and our self-contained style accommodation provides everything they need to be comfortable. We are within walking distance to Ramsay Private Hospital, Cairns Base Hospital and all the medical specialists consulting rooms. Secure, off-street parking, the CBD at your doorstep, walk to major hospitals and private health clinics. Dine in and prepare your own meals in our self-contained and fully equipped apartments. In fact our central location means we are close to most things in Cairns – see our map for more details. For temporary replacement teachers, lecturers and similar professionals Inn Cairns Boutique Apartments is an ideal place to base yourself for long stays. With two major universities within the CBD and private education institutions close by our fully self-contained apartments offer affordable accommodation, secure parking, free WiFi and we are located in the heart of the city surrounded by supermarkets, restaurants, the convention centre, waterfront activities, jogging on the esplanade. 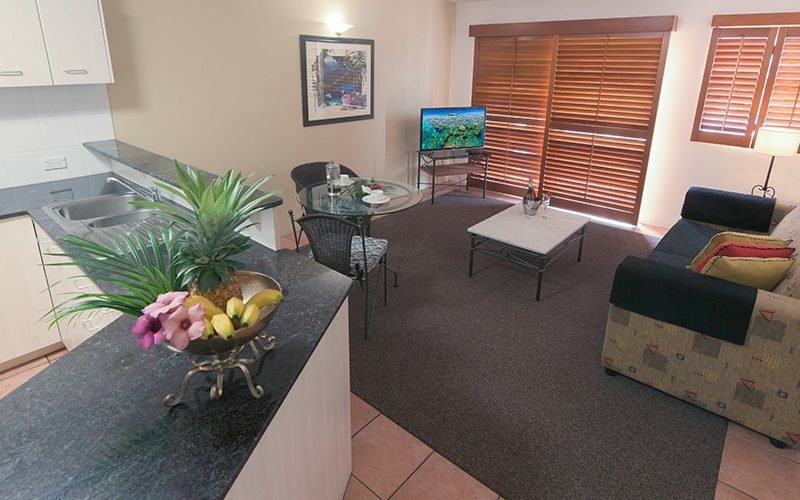 Come stay with us at Inn Cairns Boutique Apartments … it’s a great place to base yourself. To organise a long stay rate, please phone us on 07 4041 2350 or email us.